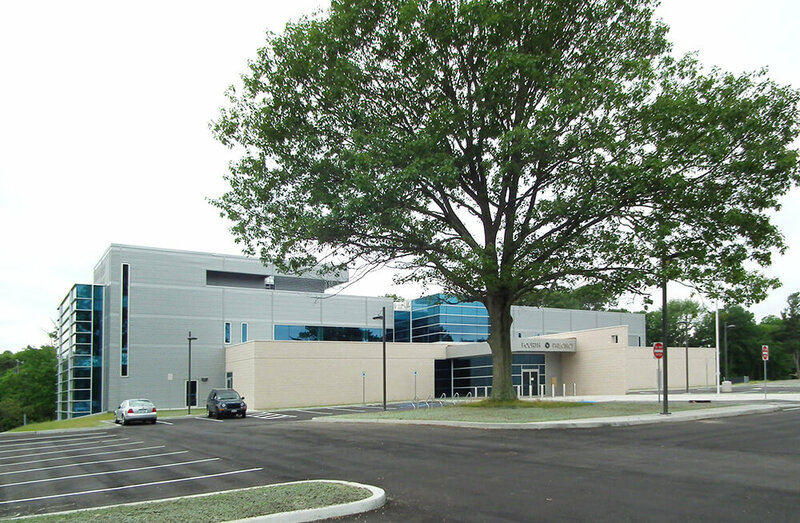 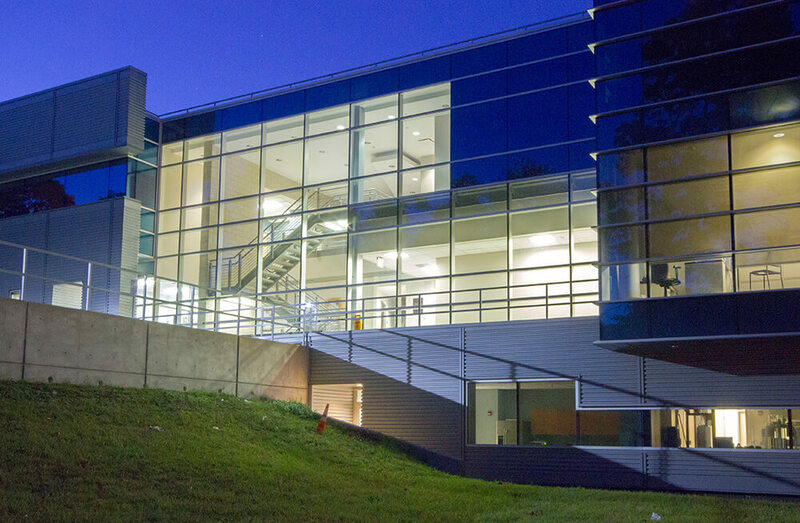 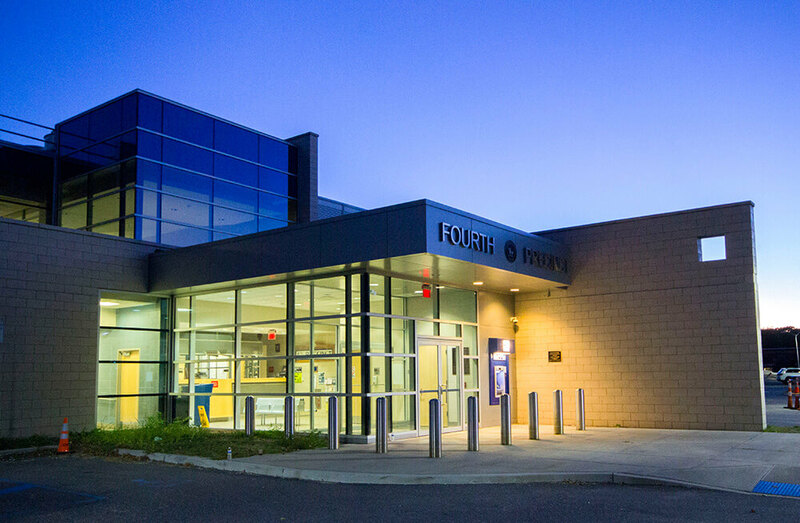 The Suffolk County Police Department’s Fourth Precinct, located on Veterans Highway in Hauppauge, has a state-of-the-art building as its new home. 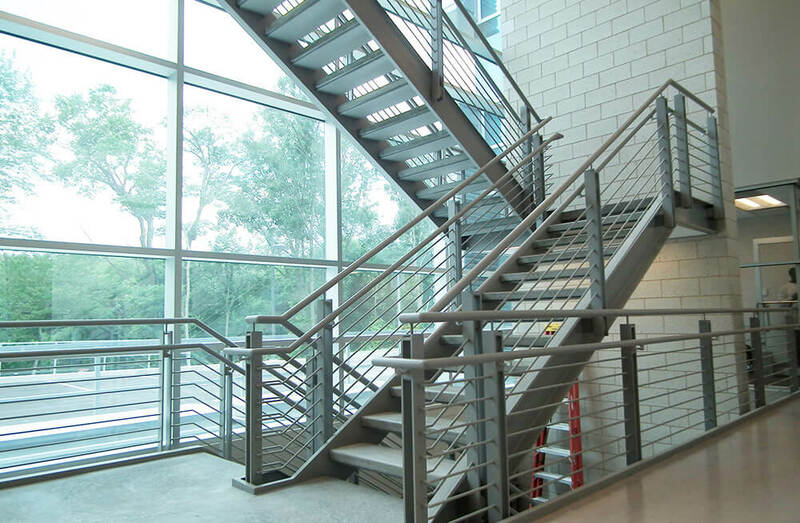 The 37,000-SF building is built to LEED (Leadership in Energy and Environmental Design) Silver compliance standards set by the United States Green Building Council (USGBC). 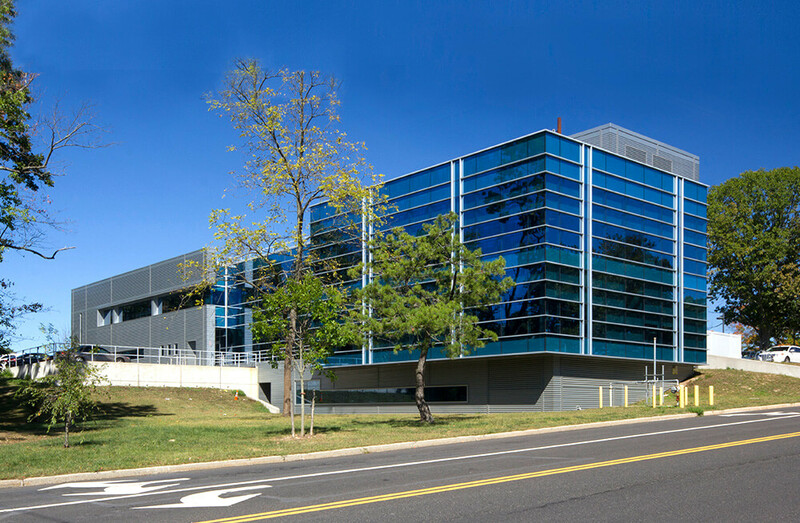 The building set a precedent for future municipal buildings by following an environmentally conscious approach to master planning and architecture. 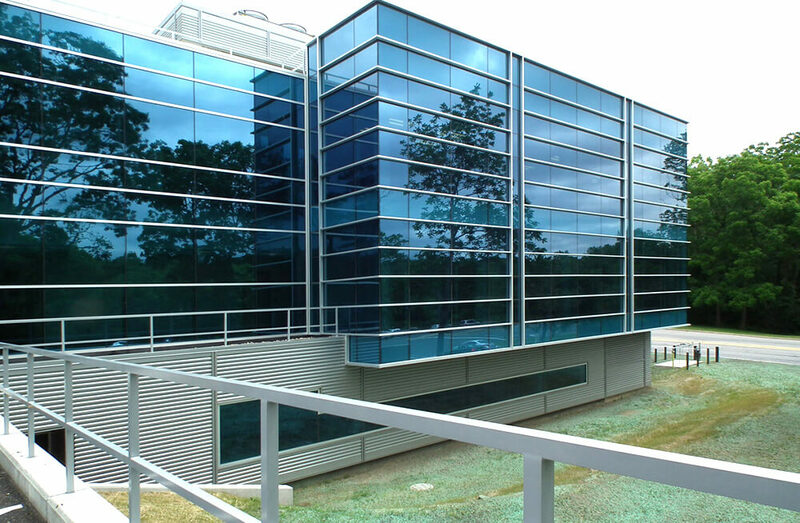 The site location and orientation of the building facades were important considerations during the early stages of development. 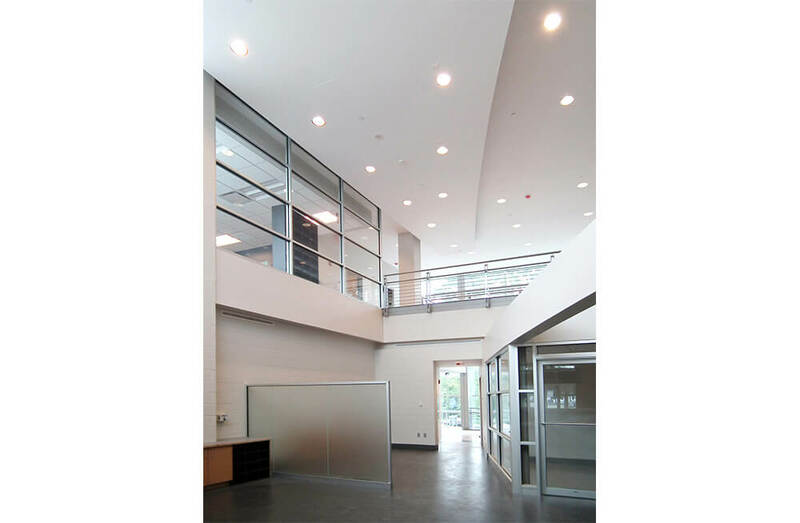 The building’s footprint was held at a minimum to reduce site disturbance, preserve existing trees and maintain natural vegetation.